Samsung's next flagship phone has shown up in AnTuTu records this week, confirming the many rumors and leaks which said it would be a powerhouse. To start, the benchmark test results identified the specific model of the Galaxy S6 as being the SM-G925W8. It sports a 5.1" display with a screen resolution of resolution of 1440 x 2560 (576 ppi) and is powered by the 2.1GHz octa-core Exynos 7420 CPU and an ARM Mali-T760 GPU. It has 3GB RAM, 32GB internal storage, and a pair of cameras (20MP and 5MP). In short, the phone is living up to most of the rumors which I've been following but not reporting, and the benchmark scores are as good as the pundits were suggesting. The Galaxy S6 Edge set a record high AnTuTu score of 60,978. That's the highest score which my source has ever seen. In comparison, the iPhone 6 scored around 48,000. While I don't usually report on Samsung hardware leaks like I do Apple leaks, this particular phone caught my eye because it's rumored to have an optional case which adds a secondary E-ink screen. At this point all I have to go on is the rumor I reported a couple weeks ago, but I expect more information to be leaked in the coming weeks. 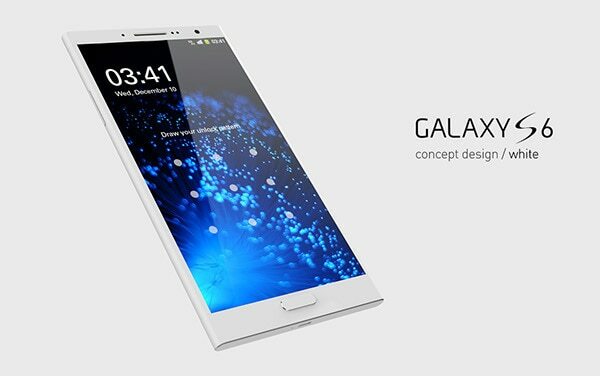 The phone itself is expected to be launched in Barcelona next month at Mobile World Congress. Now, they can just make up benchmarks on fake products. Huge cost savings. They’re well on their way to beating the iPhone 6 in estimated future imaginary sales land. Better than trying to compete in the real world where the iPhone 6 is crushing all competition.